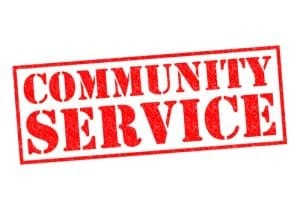 Community service often is important to assist with DUI/ DWI/ criminal case negotiations and any court sentencing. As a Virginia DWI lawyer, my clients often ask about their community service options, so I list them here for the convenience of all. My clients also ask about the ignition interlock, so I also write about that below. As a Virginia DUI lawyer, I provide my clients with a tailor-made homework plan that might assist the progress of their case. For the community service component of this criminal case homework, I posted a detailed 2016 blog entry on tackling this task. Below is an expanded list of volunteer service options, most of which are easy to find and handle. Below are some suggested agencies for my clients to consider for doing documented community service. I remind my clients that they can consider doing community service at a mixture of organizations, and can consider volunteer service that might enhance their resumes and enable them to meet interesting people. I recommend avoiding political and for-profit volunteer service work, although nursing homes are fine even if for profit. – Additional ideas can be found by Googling for local volunteer opportunities, checking with the United Way and other non-profit umbrella organizations, and in Northern Virginia checking with Volunteer Fairfax’s website and its personnel. Unfortunately, knowing how extensive is the demand to find community service opportunities, scammers exist who for a fee will arrange to provide documentation of completing such non-community service as reading articles (as opposed to audio-recording writings for blind people) and taking no action on them. Avoid all scams. – The four ignition interlock companies approved by VASAP are Draeger, Alcolock, Life Safer, and Smart Start. I advise my clients on my preferred interlock companies and about the interlock company locations most conveniently located to my clients. – Unless your vehicle is unusual, ignition interlock companies often will not bill to install the interlock. If one company bills for installation, the consumer can point out that they have the option of looking for a company that will not bill for such installation. – If the selected interlock installation company will not provide a same-day or next-day installation appointment, the company might change its tune if the consumer points out that the consumer will then check other companies’ schedules. – I remind my clients to contact me around a month before their six-month interlock installation anniversary, for us to arrange any necessary court hearing to move for leave to remove the ignition interlock. Virginia DUI lawyer/ criminal attorney Jonathan L. Katz has successfully defended hundreds of DUI clients and thousands of people accused of crimes, since 1991. To discuss your case with Jon Katz, please schedule a confidential consultation through his staff at 703-383-1100. I have had the lifesafer interlock for 2 and 1/2 years now…I like it! !….It has helped me cut way down on my drinking. Its zero- tolerance, so no more all- night partying if I want to drive the next day…I am going to get a cheaper one on my own in august when my court- mandate is up. Interlocks are fine on a voluntary basis not involving the courts and government. However, they are sensitive machines that can indicate the presence of alcohol from topical skin products and apparently even from eating white bread.